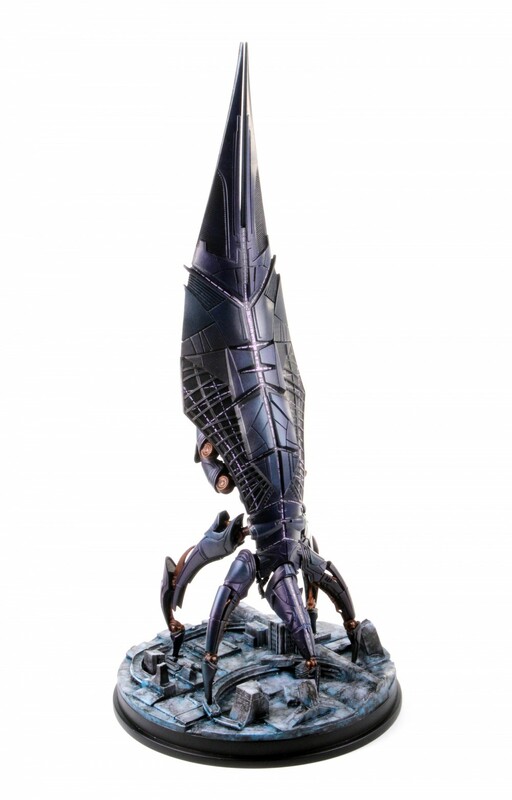 Dark Horse Deluxe Large-Scale Mass Effect Reaper Replica! Dark Horse Deluxe announces a brand-new phase of collectibles inspired by one of the most highly decorated franchises in the history of games, Mass Effect™. The first collectible to introduce this series is a limited-edition, large-scale replica of the Reaper known as Sovereign, which will be on public display at the Dark Horse booth (#1528) at New York Comic Con. Set for release on June 26, 2013, this premium replica will be offered at a retail price of $349.99. Fans can preorder the strictly limited, 18.5” tall replica at the BioWare store today! Each piece will be individually numbered and will include an in-game bonus item for Mass Effect 3 multiplayer*! This craft is the flagship of the rogue Spectre Saren Arterius. Responsible for leading a devastating attack on the Citadel in the original Mass Effectgame, Sovereign is an enormous sentient dreadnought larger than two kilometers in length. The Dark Horse re-creation of Sovereign also has a sculpted base depicting a devastated city and planetary surface to convey its huge scale. The replica will be solicited to the trade in the Dark Horse Deluxe section of the November cover dated issue of Diamond’s Previews. While the final edition size has yet to be determined, it is certain less than 1,000 of this high-end collectible will be produced! *This in-game item will only be available for the Xbox 360 and PC versions of Mass Effect 3. Posted on October 12, 2012 Author Anthony DavisCategories Collectibles, News, Press ReleaseTags BioWare store, Dark Horse Deluxe, Darkhorse, mass effect, New York Comic ConLeave a comment on Dark Horse Deluxe Large-Scale Mass Effect Reaper Replica!